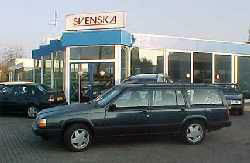 Or why does a sensible,guy buy such a big Volvo ? And then even at a Volvo dealer! one of 10 years old, with a TURBO on petrol , a weight of half a truck and the consumption of a real truck. Has he a money surplus? Does he love to hurt himself? When our fourth children announced it self. we had to look for a larger car. One in wich we could fit decently. For thatwe could natural no longer use a Nissan Primera. Soon we defined for ourselves a number of criteria. And especially it had to be safe. I mean, turning a handle for opening the windows we already no longer did since we had Suzuki Alto traded in for a a fancy Citroën BX. I know, everybody makes mistakes sometimes! In 1989 closing all doors separately was something we did understand since that time. Let alone an "option " like powersteering. Moreover the car had to be not too expensive. 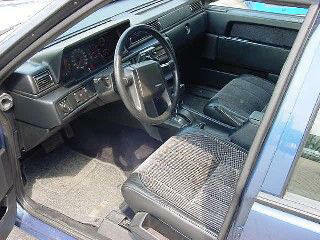 more than 15,000 guilders for a 2nd hand car I find really too much! And thus we went searching for decent means of transportation that satisfied at all our criteria . But that was easier said than done! Apparently is this country is forgiven of people that want transport 6 or more persons from. Hence there is an enormous shortage in this land at that kind of cars in that pricerange . You end up at the most strange merchants who ask completely ridiculous prices for a ramshackle that has been imported from Germany or for cars that have 350,000 KM on the clock. And When these kind of people sold something stood what could possibly be a serious option, it was already sold or it was pure fraud. We went through the larger part of Holland: Berghem, Nieuwkuijk , Veenendaal, HeesWijk- Dinther, Apeldoorn, Zeeland, Haarlem, Uden , Zandvoort, et cetera, et cetera. And what rubbish we all have seen ! 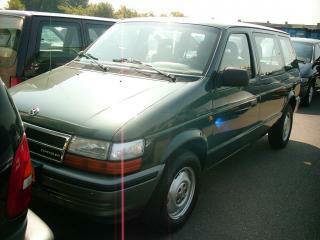 A few examples from the many cars : A Toyota Previa from 1991 with 270,000 km on the counter. All belts cut through,holes in the upholstery of back banks with et cetera , and so on. Asking price of this beauty "only" 13,000 guilders. 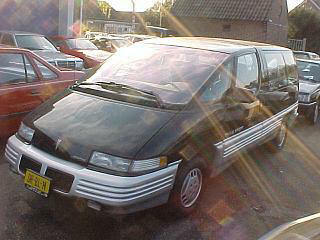 A whole lot Chrysler Voyager vans with broken motors , broken gears , of which every merchant c. q. dealer otherwise said , that you that especially had not to buy ( so we didn't ), Mitsubishi Spacewagons from 1991, 1992, 1993 for hfl 20,000 ore more with 350,000 km on gas or from Germany with 80,000 km on the counter. " Really true , sir, this was used by an elderly German lady that wanted a large vehicle wanted for shopping ", according to a seller. Yet strangely that this car has a kilometer odometer, while everything in America is done in miles and "It doesnt' want start for errr it has no petrol in tank "or "when you sign here you can make a test drive next week and take it along afterwards in the meantime shouting at his rottweiler "Quiet TARZAN! Also experienced : "You can take that Espace with you, without guarantee and I will not trade in your car and it will cost 18.000". ", you not want it like that? leave it then! If I wont sell it to you i will surely sell it to someone else." We went again to look for a car, on a Saturday. It was already half a year after we started our search for a people carrier. and our youngest, a son, had been born in the meantime. Our children sat quite tightly in the back of the car. "Look " said my wife Ireen, "let's have a look at the Volvo-dealer here on the corner if they havev anything for our likings ". It is fairly unlikely but let's try it . 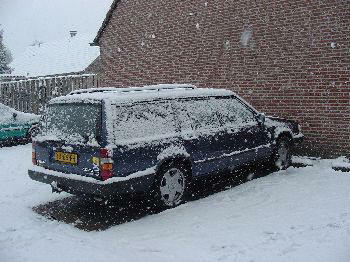 And there it was: In the middle of the ground: a dark blue Volvo 740 Turbo intercooler estate. 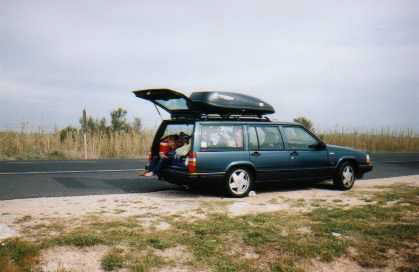 "I allways wanted such a Volvo" Ireen said and "It is quite a beauty this one". the Salesman approached us and asked what he could do for us or what he we could do for him. "This has an automatic gearbox with cruise-control always nice , and a dograck , and 4 power windows and climate control" he began. Is it possible to put extra seats in the back? . He frightened a little bit. " Yes but I don't have one ...... I began to calculate and to hear him out. " What dost such a second-hand bench cost then?" "I think about 800 guilders." I tried not to blink with my eyes. "Maarre,. Do you want to test-drive?" Against that we had no objection! After the car was started we got in and with a feeling of triumph I drove off the grounds of the dealer. Actual I had bought m then already with my heart. 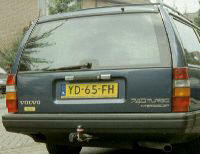 This tremendous car, with this fantastic time lynx, eternal goedgeconserveerde design. The station under the stations. With such fabulous monster of a motor in the vooronder, with a seat where my bovengemiddelde weight only also length good in most level, but also all other family members delightfully in zitten. With all options that I only want to have and yet much more even. I looked at right where my woman drunkenly, and that drunkenly also to shine. It would become per end of bill her car through the weeks. Will they it in want and dare ride? A vending machine, must can meant she. For her was it thus also a clear affair. The testrit tried we so long possible to stretch. Yet even hiemaar to , yet just that threshold try. Does how accelerate he? Do and yet just or he look for the door also justest? The pale all tremendous to go. also the neighbors looked at with only envy our car. As hears it. 'S-noons we tried yet the Toyotaman to take to get. Unfortunately told he that he nothing more wanted to lie. Good council was duration , just as such fearful. 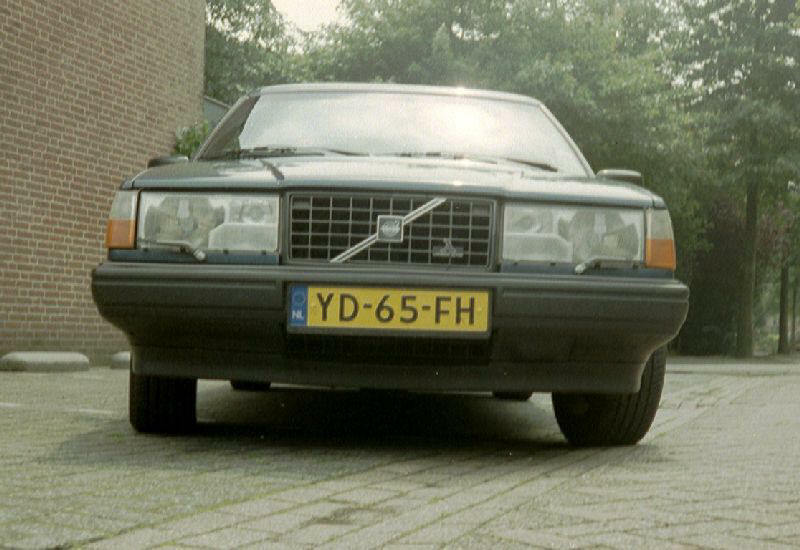 That evening I began on internet to seek with the key word "Volvo 740" and already quickly came from it many options , below which as an of the first the Volvo 700 association. Hè , but that was amusing! After a hour on this site to have I had been looked around really totally round. 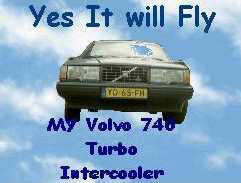 I must and will that Volvo hebben! 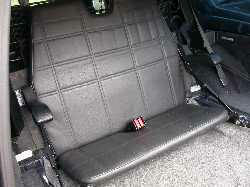 Already quickly I had various phone numbers of businesses that did in Volvo's or in pillowcase parts of that. That Monday after that I had fortunately by the second telephone already hold. Svenska in Tomb had there even 2 liggen. "Costs that?" informed I. "750 guilder" answered the man. "Only he must be developed" yet. "I come Saturday just look thus hold 'em for me fast" said I and hung on. When we the next saturday morning by Svenska arrived had they an old aftands careen in the back a corner lie. Now as I that 750 guilder for must not give then goes the deal well through" thought I. But the owner spoke me at and said: "You come certain for that fearfully?". "That have I separate gelegd, view only". This was something whole anders. An almost new bank from a 940 van'95, completely with belts and hoods. The buy was thus fast gedaan. Now that yet negotiate with John Sprengers of Volvo Grind. Fortunately we could become the freely fast once. He built them to me the fearful and my radio-CD-wisselaar in and saw to for it that it a new APK and license plates came up and that he totally good would be as we 'em came get. In spite of we went tell everybody of our aankoop. On a particular moment , I wanted to see back at the same time my father the 740 to let. He stood parked outside and were wanted to let see the doors open thus I everything well. John came to outside. "You fearfully sit there already in hè" That had we not yet seen. Nicely in the opbergruimte under the board, he sat weggewerkt. Saturday 1 July I wanted to bow half on the doorstep my first real own Volvo on to get. After the customary formalities " I got m with. Today could we the station of the stations at everybody let see and that have we done! Meanwhile we tried him dreadfully. We have been ridden them to me there over small weggetjes to Limburg, over pieces highway with 190 raged (more hard could itself to them not, it was itself to them too busy). Waves GTI from it pulled by the traffic light, with its zessen naturally (and we sat not fixed as herrings in a barrel) and my children in the back but swing and laugh! Whole many gecruisecontrolled, but especially enjoyments. Enjoyments of the riding, but also of the sight 's-mornings as you from the kitchen window looks and this car stands for your door. Enjoyments of the attention and ask of the men from the street. 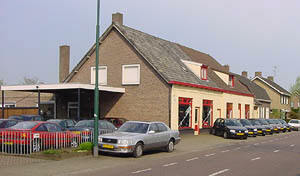 Wildvreemden that you speak to "t is well a beautiful hè". Enjoyments of all options that you have and that in the instruction bow stand by "Some models"
And that expenses? Oh, enjoy expense now once money, but you live but a time. 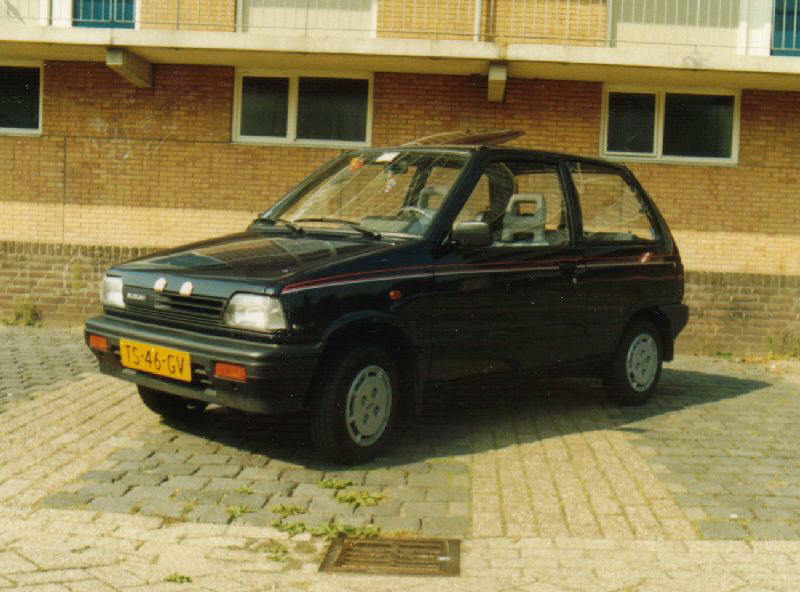 I want to ride about that yet long with plezier in this car to can. Besides havinfg a flexible use of our car,It is the best solution for the children! 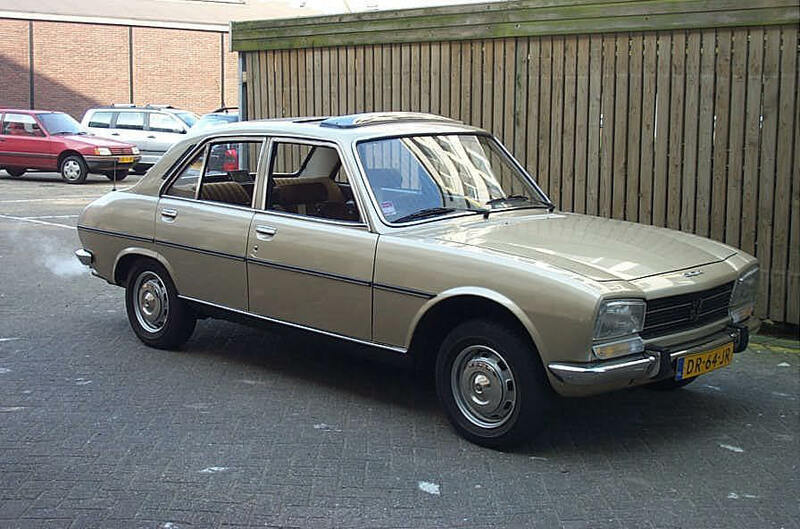 Peugeot 504 Ti vending Machine 1978 French Limo. Stab words: Fast, Large , Luxury, Rust. Well a beautiful schuifdak ZF vending machine, Electrische rams. 1 on 6 super plumbed. only with 195 per hour to Annecy. I wanted never to must do away , but must tidy up. The 740 Turbo estate a trip car nun plus ultra well what I must say... Has everything, can does want everything, everything, everything. Love is a beautiful thing.